Vibiana in Downtown Los Angeles is one of our favorite venues in Southern California. When we have the opportunity to design here, we are always thrilled. Our lovely clients Stephanie and Ken had a WINTER WONDERLAND themed wedding at this impressive location. To achieve the contemporary winter theme we used an abundance of white florals including baby's breath, hydrangeas and orchids. For a warm glow we used glass containers and tons of candles. Stephanie's bridal bouquet was a feminine cascade style that matched the history of the venue. 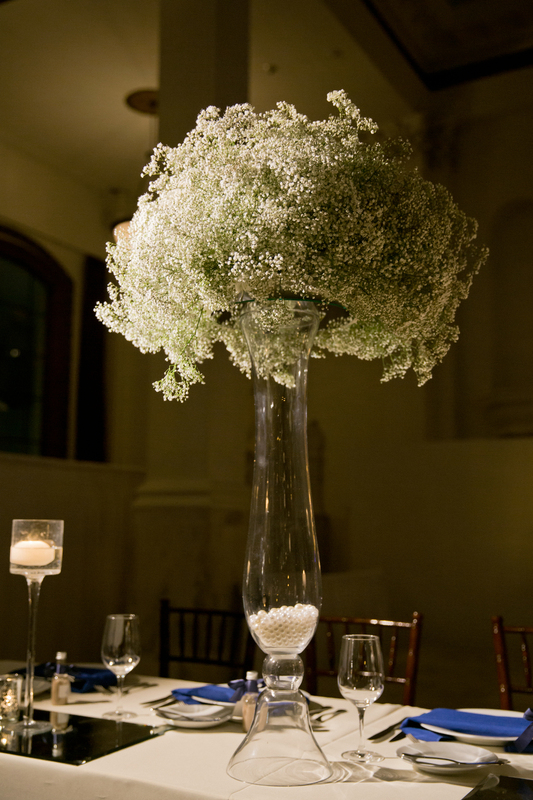 We were pleased to work with wedding planner Annette Hoegner of A Classic Touch Events. Everything that went into this wedding, attracted the attention of The Knot, and they have featured it on their blog. We're so happy to be featured again. Here is the LINK to the full feature. We've shared the images from Georgia Yeh Photography for your enjoyment.